One day while I was checking updates from blogs I follow, a handful of my fellow bloggers suddenly started posting about Steampunk. I honestly haven't heard about this genre before although after doing some research, I've read, seen and unknowingly followed books, movies and fashion inspired by Steampunk. So I got schooled on the movement and if there's a select few out there who, like me, are unaware of what Steampunk is, here's the genre in a nutshell. 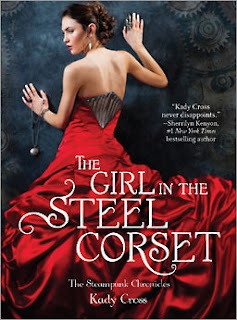 Now after perusing Amazon's library, I came across this little novella by Kady Cross. I am a sucker for novellas because it's short and a good taste test for a genre or author I like to follow. And if she imagines Lily Cross and Emma Watson as her heroines, then I'm all in. This story is basically how Finely Jane started her career as a companion/bodyguard and how she finally embraced her unique qualities. 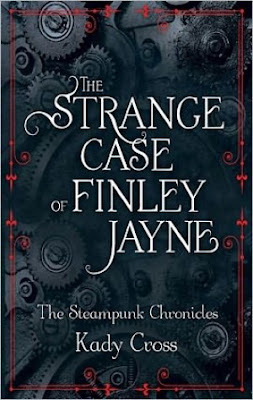 I love the feel of KCross' world, set in Victorian England, it's reminiscent of Sherlock Holmes and CClare's Infernal Devices. Fancy gadgets, automatons, leather corsets, and evil geniuses manipulating science to serve their own selfish reasons. Very stimulating. I don't want to jump the gun but I have a weird feeling that I'll be an avid follower of this genre. I get the best of both worlds: historical fiction and the supernatural. Plus the excitement of all those machines and nifty gadgets will do nothing but enhance my reading experience further. This is Book 1 of the series. I absolutely adore Steampunk, who knew? 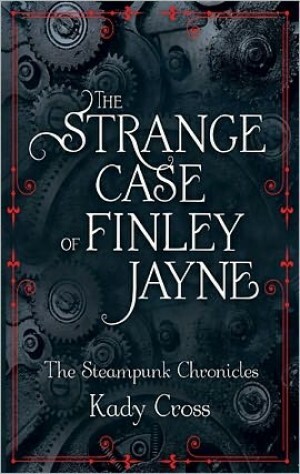 I love this series and I have had The Strange Case of Finley Jayne for a while to read, yes a freebie, it was on my list of novella catch ups to read . I was supposed to read after my little Soul Screamer novella's, but * sigh* , I do get off track sometimes. I am so hoping the publisher will give me The Girl In The Clockwork Collar to read..I have been sniffing around, but no luck yet. I adore Jack and Griffin. They are my triangle I can't choose from. TGINCC I have literally been bouncing for this book since I read TGITSC. Kady tells a most awesome tale and her characters are all wonderful. Oh Michelle, why must you constantly entice e me with your reads!!!? I want to raid your bookshelf!!!! Honey, I stay up half the night reading, just to have some 'me' time..hehe. I say bring on Iced by the book goddess herself Karen Marie Moning, now that one I am bouncing for.